I'm so excited to tell you about two new stamp sets (available now!) from Ink Blot Shop, LLC! You may have seen my sneak peek last week, but I wanted to share a couple more cards with you today. 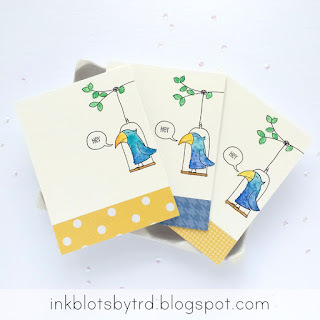 The Flopsy Birds set contains lots of bird stamps, plus a few options to help your birds feel at home...this cute bird swing (with two ways to hang it), some branches, and a nest. There are also a couple little accessories tucked in so you can dress up your birds for a variety of occasions. 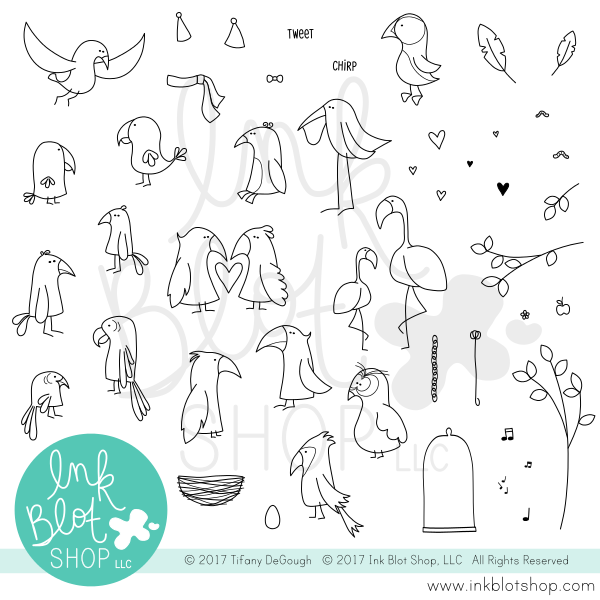 With the Tiny Bubbles stamp set, you can make your birds (or other little critters and characters) speak. There are a few included sentiments, but you can also combine them with other small sentiments or alphabet stamps (like the Skinny Mini Alphabet). 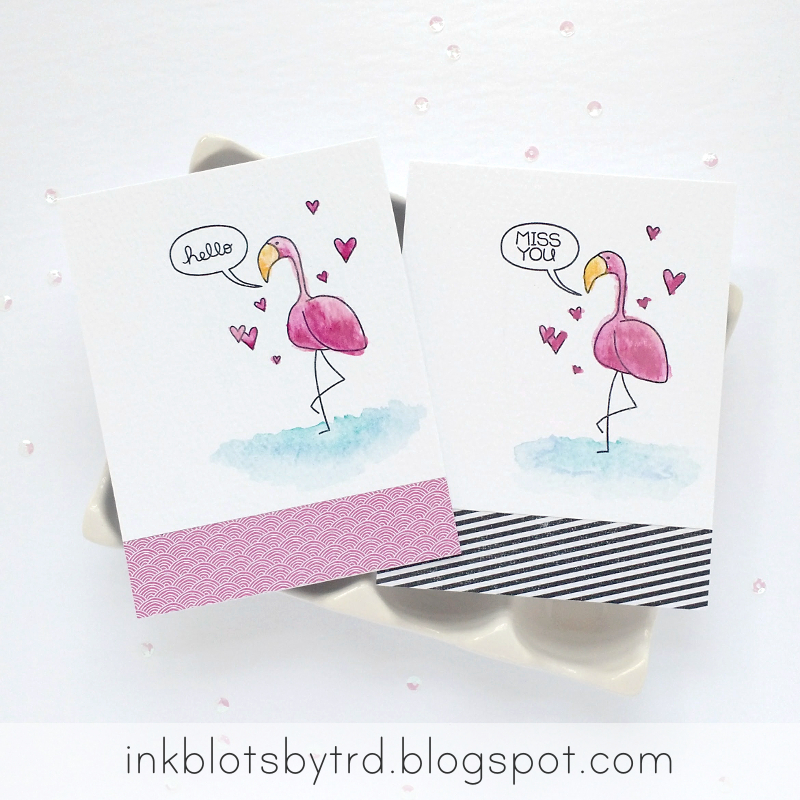 I'm excited about these two new stamp sets, and I hope you will love them like I do! Head here to get them.